Character stats for Thosk Marag are located below. 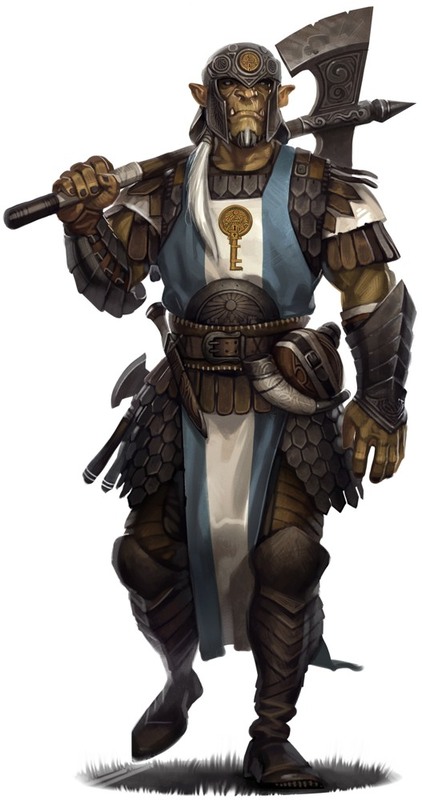 Thosk Marag was a half-orc guard for Zhentil Keep and a follower of Cyric. During the Banite purge of Zhentil Keep, he and his wife Zora fled to the Dalelands. Eventually, they made contact with other followers of Cyric who were posing as bandits and whose leader was a young cleric named Crystal Chernov.